Sredni had been serving as CEO of TradeStation since 2007. Salomon Sredni, the former CEO of TradeStation Group and longtime executive of its parent Monex Group, has parted ways with the brokerage industry to join Florida-based venture capital firm Ocean Azul Partners as its newest Managing Director, according to information made public on his Linkedin profile. Ocean Azul Partners is a venture capital firm specializing in early stage investments. It is headquartered in Miami, Florida. Mr. Sredni had been serving as CEO of TradeStation since 2007. In 2009, he was elected chairman of the board and held this position until the company was acquired by Monex Group, Inc. in 2011. At this date, Salomon was among insiders, owning 331,828 shares, which was since evaluated at $3.23 million during the deal. 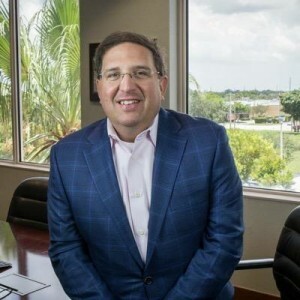 He originally joined TradeStation Group in 1996 as VP of operations and CFO and was subsequently named treasurer and director of the U.S. online brokerage firm. Later in 1999, he was named president and COO, and became the company’s CEO and president after eight years. Mr. Sredni is a certified public accountant and a member of the American Institute of Certified Public Accountants and the Florida Institute of Certified Public Accountants. He earned a bachelor’s degree in accounting from Pennsylvania State University.